If you’re a big video game fan, (and it’s likely that you are since you’re here reading this…) you’ve probably played a lot of games! That’s what we fans do! Everyone has their favorites (naturally), but there are some of us out there who, every once in awhile, entertain the idea of making a game. There’s that one concept you wish you’d see in the next AAA game announcement, but it never shows up. You’re waiting for that one character to be created, that one world to be generated so that you can explore it. And now you’re tired of waiting! It’s been years, no one else is going to make it, so you have to make it yourself. Welcome to the world of video game creation. 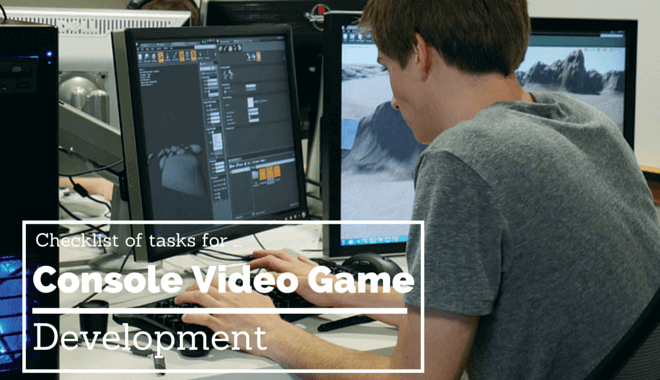 Creating your own video game is no small task. Depending on the scope of your game, it can be a pretty serious time commitment. This guide will loosely map out a “checklist” that will, from a generic game-creation standpoint, help you stay on track with your game. First things first. You need to have an idea for your game. That’s a very obvious, very intuitive point, but sometimes those are the most important items to put on a list. Diving into game programming before you have a fleshed out idea is a great way to waste a lot of your time. The real-time consumption is going to take place while you’re actually using software to create the game. Coming up with the idea is something that should happen on paper. Paper is easy, paper is cheap, and paper uses much less effort. For your first game, you might have this awe-inspiring behemoth of a game in mind. You’re picturing Fallout 4 but with Minotaurs instead of humans, drivable, flyable vehicles, and magic spells that can turn Dogmeat into a rideable, radiation-breathing dragon. That is an unrealistic expectation for your first game, so get a grip! It’s OK, you are new to this. And, to be fair, your game idea does sound awesome. We’d hang on to that one for later in your career if we were you. Instead of thinking about AAA games, distill down a concept into a very attainable game idea. The simpler the idea and design, the better off you will be. When your game is built on a simple, solid foundation, everything you add to it will make more sense. With a solid idea comes easier decisions. A well-thought-out game concept makes it easier for you as a designer, because what you add to the game will make sense. Think of building a game almost like you’re assembling a puzzle. But instead of a normal puzzle, you have pieces from a few different puzzles mixed in. If you know what the final picture is supposed to be, you’ll have an easier time solving the puzzle. You’ll be able to sift through the pieces that you don’t need in order to find the ones that belong in the puzzle your solving. If you are trying to put a puzzle together by just picking the coolest pieces you find in the box, what you end up with won’t make very much sense. As with your jumbled puzzle, so too with game design. If you have a loose idea of what you want to do, you could waste time implementing elements that sound cool, but make no sense when you put them in a game together. Think back to “your” game example from earlier, the Fallout 4 with Minotaurs and dragon magic, and vehicles. It’s stuff that might sound kinda’ cool on its own, but when you throw it together in a game like that, the elements don’t work because there is no cohesion. So you have your distilled, finely-tuned, impressively cohesive idea. Good work, we’re proud of you! Now you’re ready to tune the controls. This is a really important step. Controls are hugely important to the success of the game. If the controls are even a little off, players will get frustrated. Water environments get this wrong a lot. Ninja Gaiden’s water levels come to mind. They had a knack for being pretty frustrating. You don’t want the player to feel like they have less control over the controls in the game than they used to. To use the Ninja Gaiden example, the player goes from such excellent control on the land (killer combos, wall runs, agility through the roof) to an uncomfortable lack of control in the water (a slow shooting harpoon gun and poorly calibrated directional response). Not a good switch. Compare that to Call of Duty: Black Ops III, where the water feels just as easy to navigate as the land (and the walls, for that matter). Make sure you design your controls to hit the way they’re supposed to throughout your whole game. That will contribute to the fun of the game, big time. You should feel really good about your game at this point. If you have a killer concept and fun controls, you’re in great shape to move forward with this game! If you aren’t excited about making it, it’s back to the drawing board. Either Controls, concept, or both need to change. Remember, the hard work hasn’t started yet; in order to get through what’s to come, you will need to really want to make this game. Humans are engaged when they feel like they’re learning. The trick, then, is to incorporate learning right into the game mechanics. How do you do that effectively? First, you need to identify your target audience. Once you do that, you’ll have a better idea of the learning curve you should shoot for. If your game is cute and gentle, maybe it’s for a younger audience. If your concept is sharp-tongued and edgy, maybe you anticipate an older audience. Consider the probable skill level of the majority of your players, and design your learning curve around that. This one is another obvious one so we’re going to keep it brief. Pick the right program to design your game. There are a bunch of free game design programs on the web, and we even have a list of some good ones to use, and when to use them. Take 20 minutes to shop around and you’ll no doubt find what you’re looking for. Better yet, you’ve already been experimenting with the different programs, and that’s what has you building a game! Either way, pick a good one. It’s things like that. 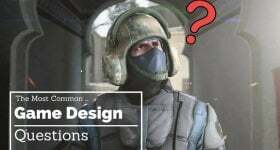 Maybe you forgot to add sound effects for a specific character action, or you wanted something in-game to look a certain way, but you forgot to change it. Give your game a once, twice, thrice-over. Then it’s on to…. Oh god, now it’s time to test it oh god. Self-conscious, sweaty palms, slick controller. Here’s the most important question throughout this entire game development process: Is it fun? The game needs to be fun. It can be challenging and be fun. It can be easy and be fun. But it needs to be fun. If it’s not fun, it won’t be played! Simple as that. So maybe you think it’s fun. Time to get it into other people’s hands! This could be friends, family members, or even acquaintances. Regardless of who it is that you have playing your game, you need to make sure they’ll be completely candid with you. You don’t benefit from hearing “your game is good” from someone who would never play that game ever again as it currently stands, but was too scared to be honest with you. Make sure you can take the criticism, and then make sure your testers are willing to lay it on you, and lay it on thick. OK, you’ve gotten feedback from some people. It was good, it was bad, it was ugly. Whatever it was, now it’s time for you to tinker. Trial and error is the best way to get better at this. Use forums, use friends, and use tutorials to figure out how to keep making your game better. Eventually, it’ll be so shiny and polished and fun that you’ll know it’s time to let it go out into the world. When that day comes, publish that sucker and smile. Until then, keep tinkering! 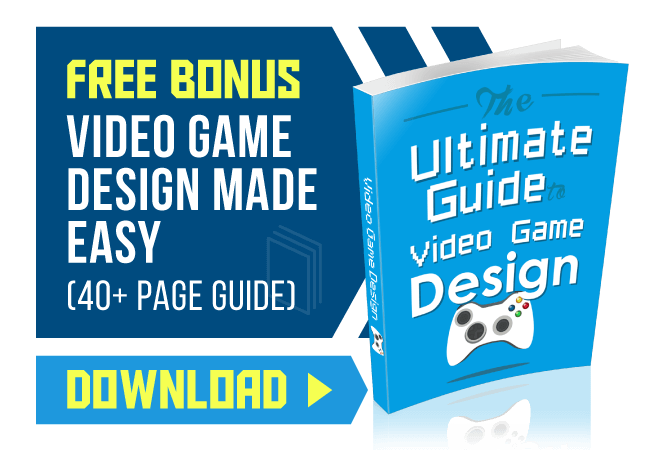 If you want to take a more indepth look at Designing an Awesome Video Game, click here. It’s a great, high-caliber checklist article from James, one of the creators of Velocity. Good luck!